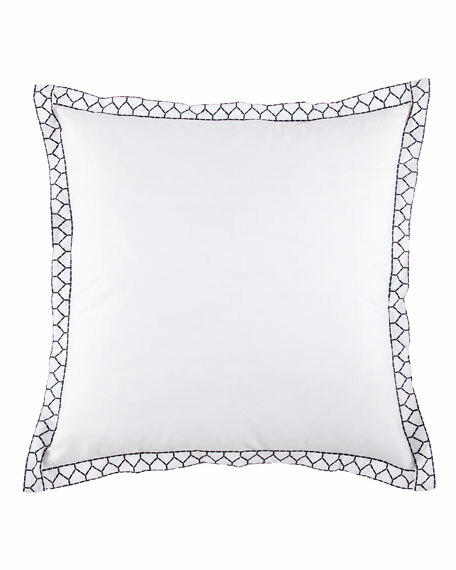 Long-staple, combed cotton sham with ink stitching detail. Made of 300-thread-count cotton percale, a finely woven, durable fabric that is exceptionally smooth to the touch. For in-store inquiries, use sku #1935298.